Tornado Tubes, Vortices & Fog: Educational Innovations, Inc. 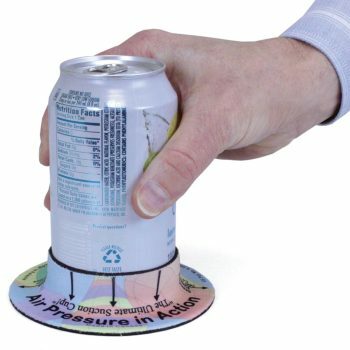 Demonstrate a vortex in your classroom! Some people refer to it as a tornado in a bottle. Show that in order for water to flow down, air must flow up. 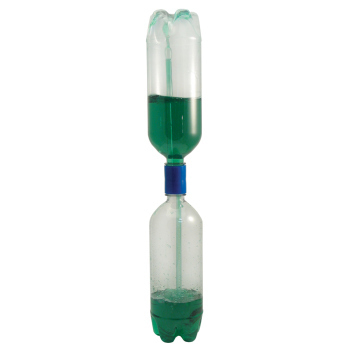 These amazing connectors screw onto two plastic soda bottles (you can buy new ones from E.I., Item number BOT-600 and allow students and teachers to create a water vortex. Or, connect two small soda bottles and make a sand timer. One of our all time favorites. Colors and styles may vary. Helpful tip: When the cap is removed from a soda bottle it often leaves behind a jagged "security ring". To ensure the best seal, cut off this ring before using our bottle connectors. I bought them for a tornado experiment in a classroom. They leaked a little, but it was still ok to use with an absorbing pad underneath. Kids loved making tornadoes and small leaking didn't bother them, so we all enjoyed the experiment. Such a simple toy, but so fascinating. My grandchildren love them - but they (6 and 8) did need a bit of a hint how to start the tornado by swirling the top bottle. A couple of suggestions: Don't let your kids get too carried away with the food coloring. If the water color is too dark, it's hard to see the tornado. Also, be sure the remove the ring from the bottle neck, left after the cap is removed. If it's left on, the connection will leak. Owner Response: Paulette, we will send out another immediately! Sorry for any inconvenience. Great product! Fast shipping! Cheapest on the market! Ordering was fast and easy. A little spendy but the least expensive than anywhere else I found. Delivery was also fast and everything was intact and ready to use! Thank you! Great product but if you don't get it on the bottle perfectly they leak. awesome product!!! very useful for many projects!! At a local restaurant I met a former student. I taught kindergarten for over 20 years. This young man said the one thing he remembered was the tornados we made and he wanted to reproduce this for his son. I ordered it for him and made his Christmas. While I am sure that these coupling devices would contribute to an entertaining and educational experience in a classroom, I was looking for something to help me out around the kitchen. I use them to fill smaller, one liter, bottles from larger, say one gallon, bottles without making a mess. I just have one of my one liter bottles that I have cut the bottom off of, therefore making it a somewhat functional funnel. I Use one of these Tornado In A Bottle connectors to join my funnel to the bottle I want to fill and I never spill a drop. OK, I must admit that after I filled the vinegar and peanut oil bottles I needed to fill I spent about an hour playing with tornados in my kitchen. I remember that experience as a child, it was one of the things that got me interested in science. Thank you for this 100% As Advertised product. By the way, do you make them for larger bottles? If so, I would like to get some of them too. Great product. Its the best way to do the hurricaine in a bottle science project for kids. Shipped and arrived quickly. Anyone who has enjoyed watching spinning water will continue the fascination with these. Good for all ages. Thanks for having those little hard to find items when you need them. Owner Response: We are sorry your connectors are leaking. Have you removed the safety ring from the cap? If not, the connector will not seal properly. If you continue to have problems, please return your bottle connectors for a replacement or refund. I remember soda bottles been more standardized, but today there are so many sized necks that when stirred, it just makes a mess on the floor, whether carpet or not! Owner Response: The Vortex Bottle Connectors should work on every bottle made. We have found, however, that if the cap's safety ring is not removed from the neck of the bottle, the Vortex Connector cannot be screwed down enough to form a good seal. The ring can be easily removed using a scissor. Please let us know if you have any difficulty moving forward. Thank you for your review! The vortex bottle connectors were great! There were a few leaks here or there, but that may have been my bottles. The kids had a blast with them, and they served as a great learning tool. If I had one complaint to voice, it would be that there wasn't much color variation... In a set of 10, I received 6 yellow ones, 2 red, 1 blue, and 1 green. Try to mix it up a bit in the future! Otherwise, great product, fast shipping, easy service. Owner Response: Thank you, Kimberly. We will try to do a better job of mixing up the colors. Also, check your bottles to be sure the safety ring has been removed from the neck. If not, that will cause the bottles to leak. Fairly inexpensive and very easy to use but they are not good to use with one-liter bottles, only two-liter ones. Owner Response: Lee, thank you for your review. The tops of all new one and two-liter bottles are manufactured with the same specifications so our bottle connectors should work well with both. Please be sure to remove the bottom security ring from the neck of the bottle when attaching the Tornado Tube. This will assure a tight fit. worked wonderfully for the project we were conducting; great shipping time but the cost to ship was a bit expensive. The tornado connectors are always a big hit at school. The product has been modified from previous orders and they are much better now. They are durable and prevent leaking. These work great to connect two bottles! The kids had so much fun with this experiment! These are good but wish they would fit the 20 ounce bottles. I teach Pre-K and the 2 liter bottles are just to big and bulky for my students to handle once you have added the water. Owner Response: Thank you for your review. Our bottle connectors are also perfect for use with 1 liter bottles. This should help with those tiny hands. An impression was given that these will fit on a 2 liter bottle, but they do not. 3 liters are hard to come by. Owner Response: Thank you for your review. Our bottle connectors fit on all average size bottles; 1,2 and 3 liter bottles. They will even fit on some small 20 oz bottles. One thing you must do is to be sure the plastic ring, which is often left behind when the bottle is opened, is removed. If the ring remains on the bottle, you will not get a tight fit on the bottle connector. The tornado tubes worked great. They work great but feel brittle. We will see when we start shooting off our rockets. Thank you! Strong, effective, best price around. These were a great for a birthday party project! The kids loved them and learned something while doing it. The tornado tubes have been the best thing I could buy for my special science class. Students who didn't like science can't stop twirling the bottles, watching the "tornado" inside. It's great for open house as the parents get involved as well. I put out several bottles with different food coloring added to the water. It makes a very colorful display. The most important thing about the tornado tube besides it being a great teaching tool, it is a great motivator. Students receive points for doing science homework and classwork. They can then cash in their points for "prizes." Their favorite prize is the tornado tube. What a twister!!! I've used these bottle connectors on 12 oz bottles and 2 L bottles. They work great and don't leak! I've had a 2L bottle set up in my office for several years with no problems, despite lots of people playing with it!! If you're having a science party, kids will love learning how to make their own "tornado" in a bottle. It's a fun, active way to teach them about vortexes and they'll be thrilled that they can take their projects home. My nine year old son really enjoyed using one of these for a science project on Whirlpools. They are very easy to work with. A little food coloring in the water and you're good to go. Although not used in the classroom, I use these in a product I make and sell - Carpenter Bee Traps. The connector is used to hold the bees that have been trapped, and allow bottles to be easily removed and replaced. We've built these tornado demo pieces by just taping bottles together....WHAT A MESS!! Cheap solution for a much neater activity. This is such a great easy project! Using this to connect two bottles filled with different materials is a great way to incorporate science in so many ways. I love it! These are awesome, and are always a very large hit in our Summer Programs. Kids love taking these home and creating their own Tornado Tubes. I use these in a classroom of 1-4 grade students. 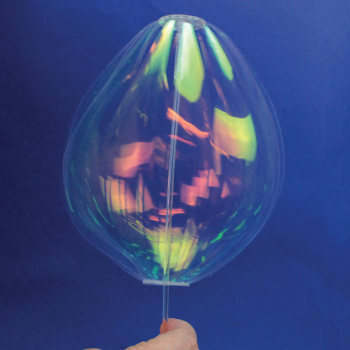 They are versatile and they make for a great science center activity. Can add things or multiple liquids to the bottles to make it more interesting, too! These were great! Used them for showing how a tornado forms and had them displayed during our science fair for people to use. Easy to put together and no leaks! In fact the seal was so secure I had trouble taking them off! My pre-k kids sat and watched the tornado for a half hour! It worked perfectly! In an order of 120 it would be nice to get multiple colors. All we have are blue. But it's a GREAT product.... ...................................................................................................................................... ....................................**Educational Innovations Responds**................................... ...................................................................................................................................... Sorry, Henri, with the change in standards for threads on soda bottles, these connectors had to be retooled, and we were at the mercy of our vendor. In time, we will have more colors available, but unfortunately, the first shipment came in all one color. 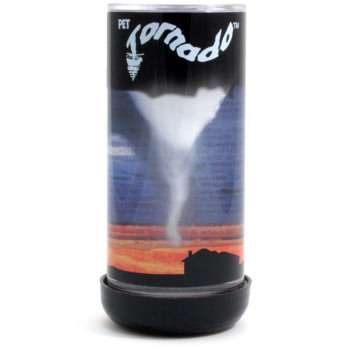 Students can use this Tornado/Vortex Bottle Connector to obtain information about severe weather. Students can better understand how the motions and complex interactions of air masses results in changes in weather conditions, when using the bottle connections as an investigation of tornados. 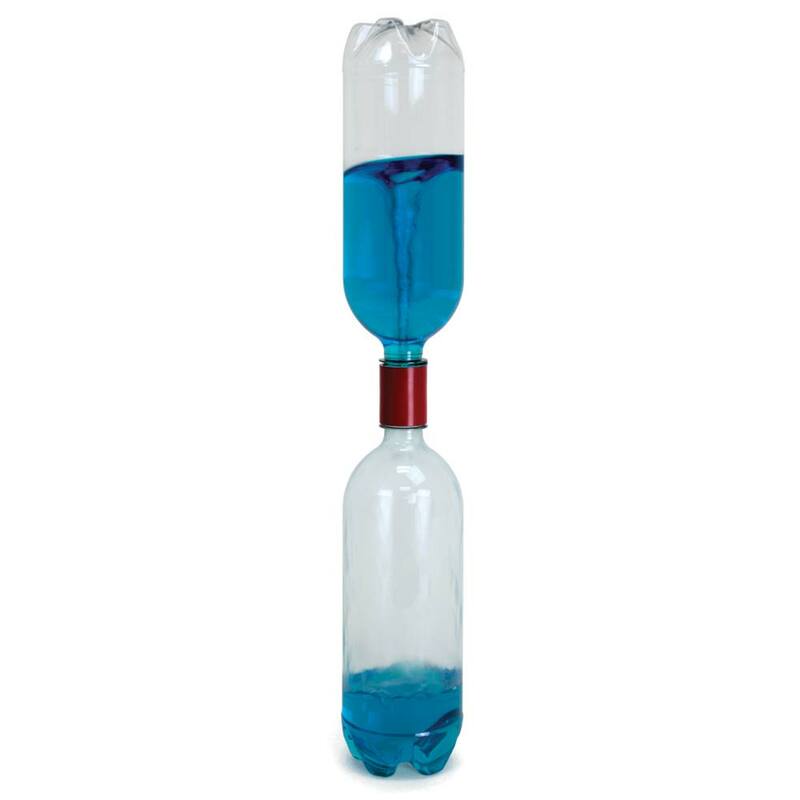 Use the Tornado/Vortex Bottle Connection to demonstrate the actions that take place during a tornado. Questions and conversations regarding weather forecasting to prepare for and respond to severe weather.